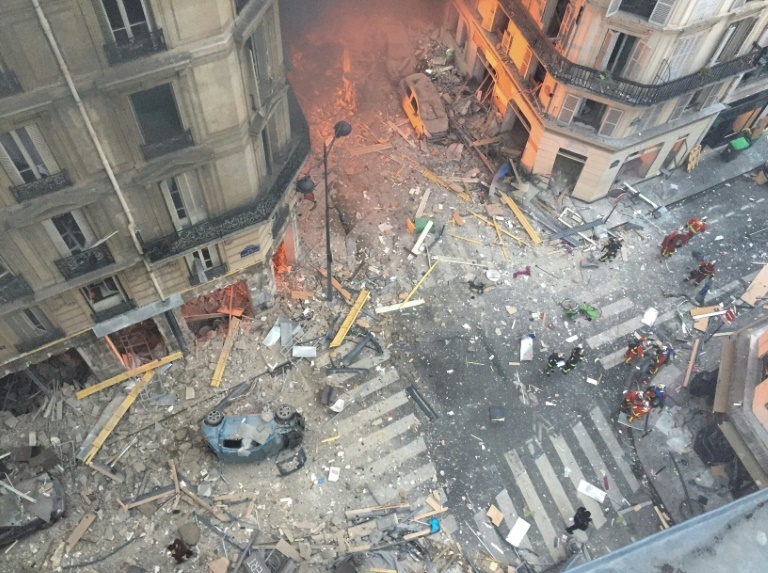 The death toll from a gas explosion in central Paris has risen to four after rescue workers found a woman’s body in the rubble, investigators said Sunday. Two firefighters and a Spanish tourist were also killed in the massive blast that gutted part of a building, injured dozens more people and badly damaged nearby apartments. Rescue workers with sniffer dogs had earlier been searching for a missing woman who lived above the point of Saturday’s explosion and who was believed to be in the rubble. A source close to the investigation said it was still to be confirmed if the body was of the missing woman. Around 50 people were injured in the explosion and around 150 were evacuated from the area and housed in temporary accommodation because of damage to nearby buildings. A fire service spokesman said the building hit by the blast needed to be reinforced as clearing operations in the area could continue for about a week. The Paris ninth district is home to restaurants and tourist attractions including the Musee Grevin wax museum and the popular Rue des Martyrs.